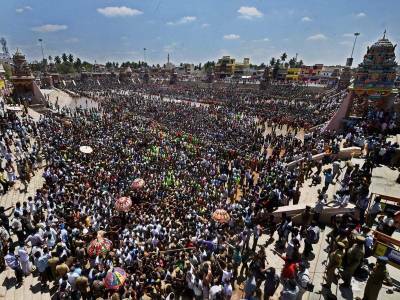 The Mahamaham Festival that is held every 12 years and one of the major tourist and pilgrimage attraction of Kumbakonam in Thanjavur District, Tamil Nadu. According to the legend, the pot containing seed of life belonging to the holy creator Lord Brahma, settled down in this place after the occurrence of the Pralaya (absolution of the universe). The literal meaning the pot's corner Kumbakonam reassures that legend. Setting aside the myth, the city has been the seat of power for the CE century Hindu king of the region from the Pandya to the Cholas and from the Gangas to the Vijaynagara. 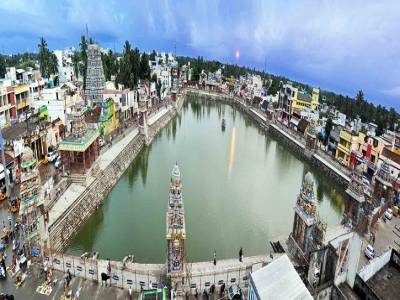 During the Mahamaham festival millions of pilgrims attend the event (more than 40-50 lacs devotees) and take a dip on Mahamaham tank (Pond) to purifies them and gets rid of their sins. 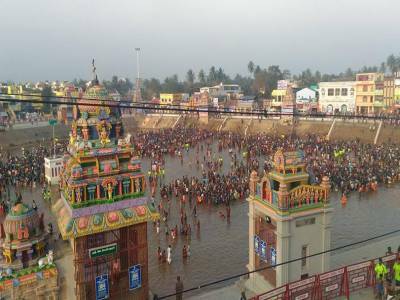 The Mahamaham festival is the grandest festival of Kumbakonam that connects 12 Shaivite Temples, 5 Vaishnavite Temples and may others in one ceremony. This place is a great place of both religious and historical importance for tourists from all over. 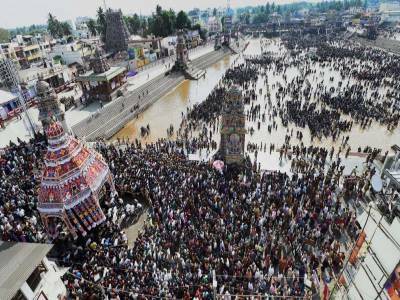 Get quick answers from travelers who visit to Mahamaham Festival.